In honor of Veteran’s Day, we’d like to put the spotlight on our Harper Voyager authors who served in the military: Erik Williams, Ian Douglas, Nick Cole, and Henry V. O’Neil. They each described how their experiences serving have influenced the books they write. We thank them for their courage, as well as for their stories! How has my experience in the military influenced my writing? Hell, I don’t know how it hasn’t. You see, you got to go all the back to the beginning: my birth. Don’t worry, this isn’t a long story. In 1978, I was born to two parents both serving in the Navy. My mom didn’t stay in but my dad did, doing close to thirty years. My youth was spent crawling around on aircraft carriers and under fighter jets and bombers. I went to the University of Southern California on an NROTC scholarship. I met my future wife in that unit. Upon graduation, I was commissioned as an officer and did four years on active duty, including a deployment to the Persian Gulf for the first four months of Operation Iraqi Freedom. My dad was still on active duty at the same time too, both of us were in the Gulf on separate ships. In 2005, I got out of the Navy (as did my wife) but we turned around and got jobs a defense contractors supporting – you guessed it – the Navy. So as you can see, the Navy has been, in some form or another, part of my life since the beginning. Writers like to say, “write what you know.” Well, I know the Navy. So it’s only fitting my first novel Demon would feature a lot of military, including the USS Rushmore (the first ship I actually served on). Of course, I wasn’t in the CIA. I’ve never encountered a demon (nor wish to). But I like writing about them. And thanks to my military experience, I’m able to ground m supernatural thriller like Demon in a very real world. I guess you can say it gives the story verisimilitude. Yeah, that’s a good writerly thing to say. 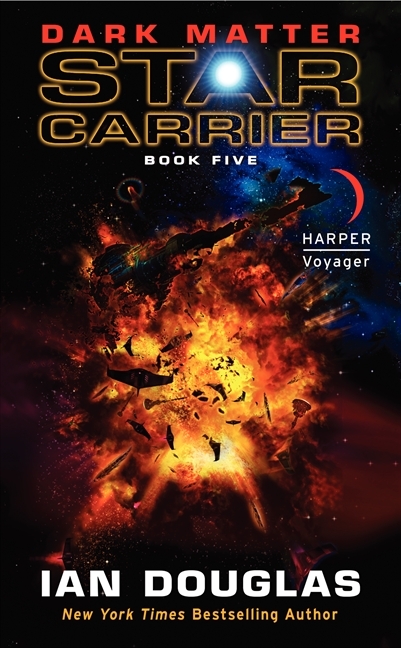 IAN DOUGLAS, most recently the author of Dark Matter: Book Five of the Star Carrier series. I was a corpsman, a “Doc” serving with the U.S. Navy, long ago and far away. We ran sick bays and labs and ORs for the Navy; we were medics for the Marines. And, yes, I draw upon those experiences in every book I write. In his epic military coming-of-age novel Starship Troopers, Robert Heinlein wrote movingly about a young recruit reaching “the hump” in his boot camp training … and then pushing beyond. That feeling is quite real and quite powerful. Suddenly, the recruit, his civilian attitudes and worldviews battered down by discipline, training, and a lot of in-his-face screaming, knows that he fits in, that he’s a part of a fraternity, that he belongs. And he will never, ever be the same. 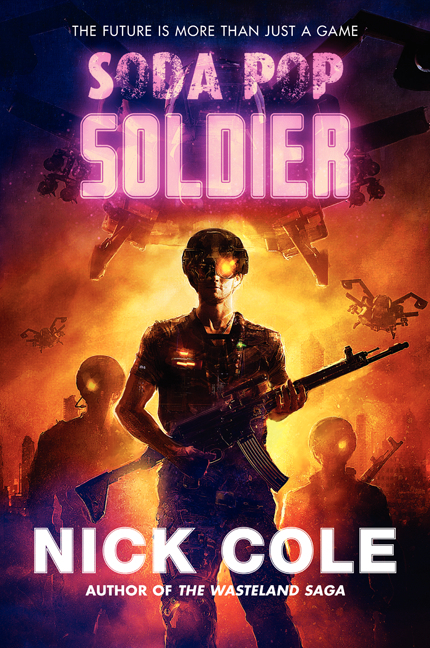 When I write military SF today, I’m constantly referencing that experience – whether I specifically mention it or not. U.S. military personnel live under a demanding and unaccustomed discipline – they sign away their civilian rights before they raise their hands and swear an oath to defend the Constitution from all enemies, foreign and domestic. Usually, they find themselves entering a new relationship with their fellows; it’s well known that the guy in the foxhole fights and dies for his buddies in there with him before he fights for home, mom, and apple pie. That relationship is something most people who have not served in the military can never quite grasp. Yes, there are exceptions: the cowards and bad apples, the moochers, slackers, and deserters. Humans are, well … human, and no two tick the same way. But in general, that Band of Brothers mentality forged in combat is as sharp and crisp and real as the blood on the sand at Omaha Beach … or the stink of death in Fallujah. I became a Navy hospital corpsman partly because I hoped to apply my medical training to med school when I got out, partly because my dad before me was a corpsman. Turns out I never became a doctor. I did develop quite an insane love of, and respect for, the U.S. Marine Corps that has stayed with me throughout my life. The scientific, medical, and military training all stood me in very good stead afterward, particularly when I wrote a series for Harper Voyager (Star Corpsmen) about Navy corpsmen in the future. But what really stuck with me were details of life under military discipline and the chain of command, about shipboard life, about the vital need for a well-trained military to defend that afore-mentioned Constitution … and, always, about the goddamned U.S. Marines. I’m proud to have served. I’m proud of those with whom I served. And I’m very proud to be able to bring just a taste of that experience, that fellowship of duty-honor-country, that history, that passion to my tales of the military in the future. I joined the Army as a kid who had some immature ideas about life and writing. The Army changed me, as I’m sure it changes everybody. The Infantry unit I was in had a new 1st Sergeant. He’s the head enlisted man in the company. Even officers who outrank him are wise to listen to his sound advice and hard-earned wisdom. He had the deadpan eyes of the late actor John Astin. He cut through lies, weaknesses, and youthful ignorance like a deli slicer. The patch on his shoulder told you he was the real deal. Vietnam, back in the day. John Astin burrowing right into your pathetic soul. Maybe a lot of you figured that out early on. I didn’t. I was young. I was perpetually messing up or not meeting people’s expectations or standards by trying to skate by on charm, mercy, and occasionally getting lucky. I was a kid. In that one moment, trying to figure out what my major malfunction in life was, I finally understood something that would save me a lot of trouble. Show up in the right uniform, at the right time, ready to work. The novel is a leviathan. Maybe Melville was really identifying more with Ahab than anyone else. When I wrote my first published book The Old Man and the Wasteland, I knew it had to be the best. I knew I’d get one shot with readers. It couldn’t skate by. This novel was going into the battle that is the marketplace and it needed to be ready. It needed to show up only when it was ready. I held myself to those words. I didn’t let myself say “good enough” until it was ready. It wasn’t done until it was prepared to show up at the right time, in the right uniform, ready to work. A long time ago I was a young kid, waiting to get in trouble again. I learned something in the Army that would one day help me write a book other people might actually want to read. Thank God for whatever experiences that 1st Sgt had: Vietnam, life, an endless parade of clueless kids who thought life was something else. Thank God for him. And … thank you, 1st Sgt Bannon, wherever you are. I graduated from West Point in 1985, and spent the next few years as an officer in the US Army Infantry. I was a platoon leader with the 10th Mountain Division at the newly-activated Fort Drum, N.Y. and then served as a company commander with the 1-508th Airborne Battalion in Panama. During those years I got to meet just about everybody. One of the great things about military service is that the people you work with come from every part of the United States (as well as other countries) and from every walk of life. I quickly learned that there was a vast pool of talent all around me, and that it was important to foster an environment where individuals would step forward to offer their advice or special skills when they were needed. I incorporated that lesson in my military science fiction tale of survival, Glory Main. In that story, four strangers find themselves marooned on a seemingly barren planet. Confronted with increasingly dangerous threats, their survival often hinges on the hidden talents and inner strengths of the group’s dissimilar members. Another lesson from my time in the Army was the importance of building genuine, functioning teams. When a team member feels his or her contribution is unwelcome or unappreciated, it can cause that individual to stop trying, or even to withdraw from the group. The initial behavior of the castaways in Glory Main threatened to do just that, and it was an interesting exercise to come up with plot developments that overcame that problem. Although I never went to the war zone, peacetime training exercises showed me just how complex a military operation can be. When different units act in concert, especially for the first time, there is a huge potential for confusion. Even with effective communication and the best intentions, things still get SNAFU’d all by themselves. 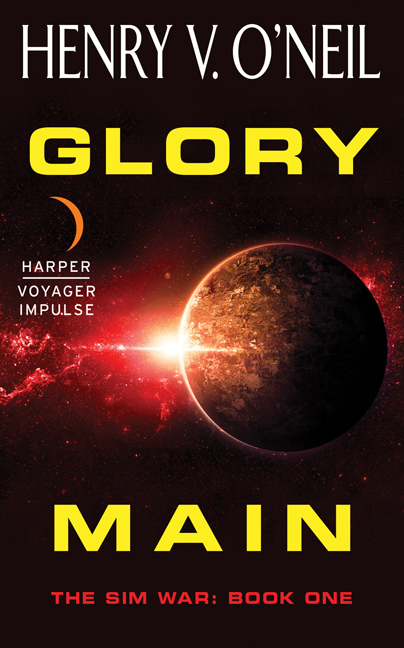 After Glory Main, I wanted to write a story that explored how minor miscalculations can have an enormous impact on a military operation’s success and dire consequences for the soldiers involved. A big battle scene in Orphan Brigade —the sequel to Glory Main—includes a chain of missteps that put the soldiers of the Orphan Brigade in an extremely dangerous situation. The Human Defense Force depicted in this series is not meant to represent any existing military organization, but of course I was able to draw on my Army experience for the atmosphere and the tone. Both books are a testament to the toughness and resilience of human beings, which I saw demonstrated many times in my years with the Infantry. Whenever I capture that successfully, it’s a tribute to the dedicated men and women of our armed forces.